Wonderful photos. 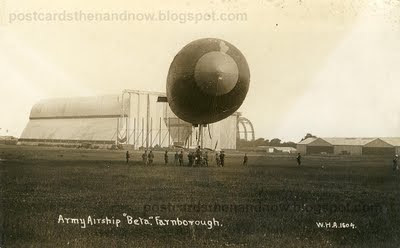 I especially like the one of the "beta" flying at Farnborough. The third photo is a GREAT shot. 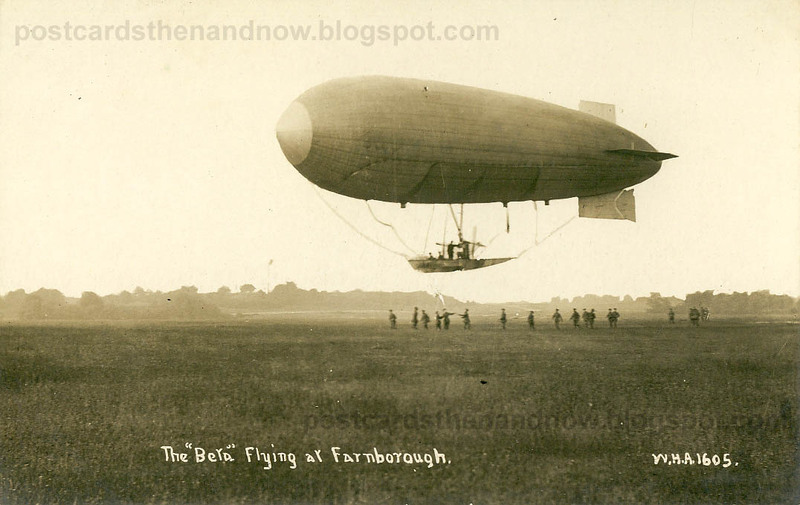 How wondeerful to see these pre - WW1 flying machines. Such wonderful air machines, and such a short-lived technology. 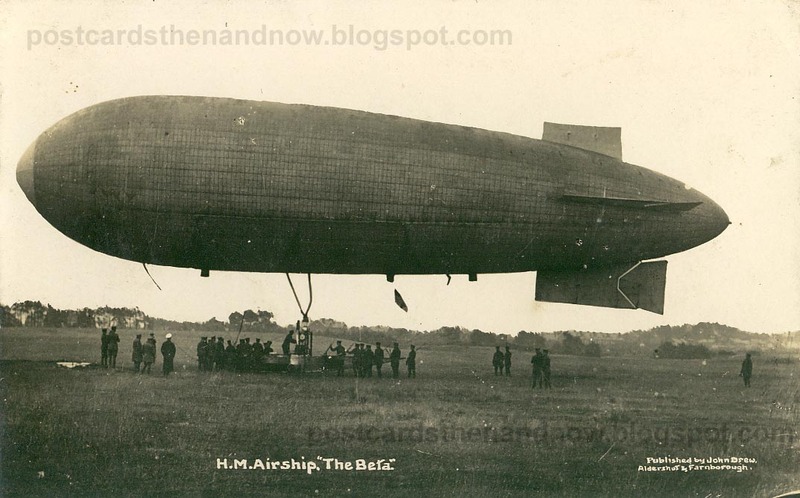 I'd much rather cross the Atlantic in 3 days on a airship than scrunched up in coach section for 7 hours. oh so much to learn here. Great information and the pictures of this are priceless! very nicely done for SS! I've never seen one with an open gondola like this. Fascinating. Great theme post : and I suspect if we trawl through Street View long enough we will find an old airship there - everything else is there in some place or another. 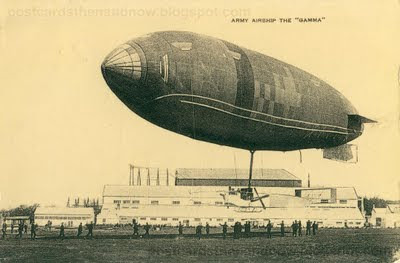 I love these old airships. They always seem fraught with problems, but it would be so magical to ride in one. 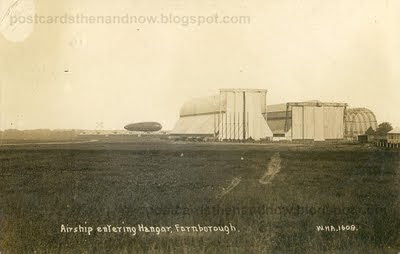 I used to drive past an old airship hangar in California. The hangars themselves are pretty amazing. These airships make me think of the Goodyear blimp which we occasionally see floating over us. The blimp's passenger area looks different, though. 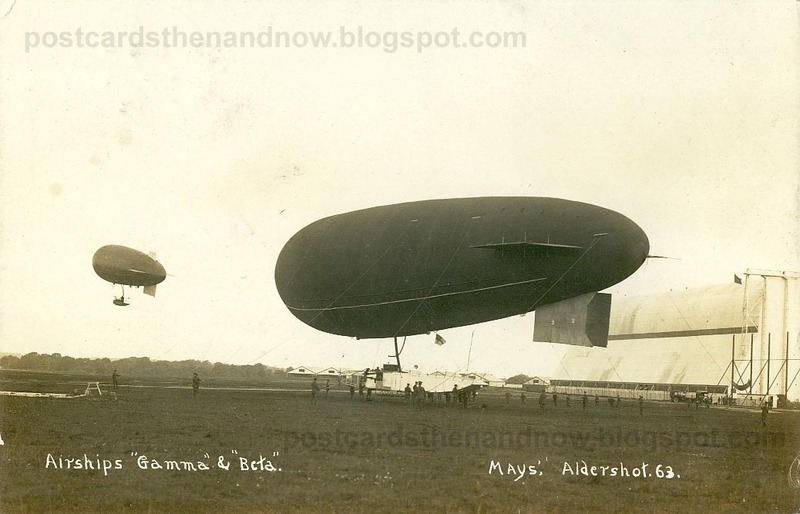 I'm impressed by the size of the Beta and Gamma, especially considering that they were made 100 years ago!